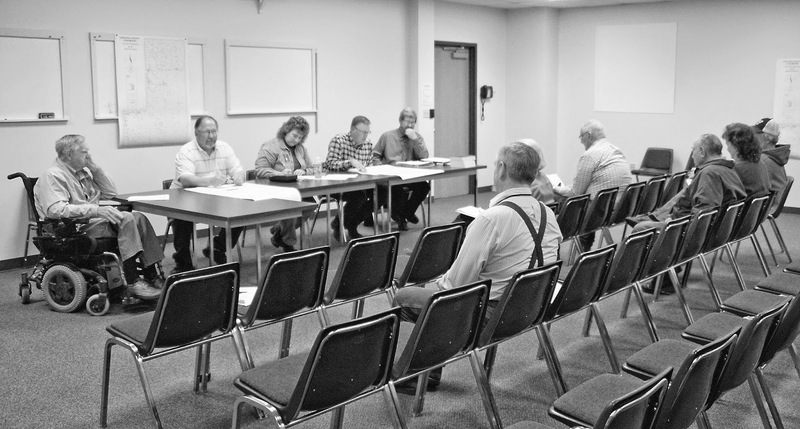 Lincoln County’s first-ever County Road Standards and Road Policy was approved by the county commissioners after a public meeting held last Thursday, Oct. 30. In addition, the board approved an updated road map that shows the officially designated roads in Lincoln County. These roads include those that are designated as primary, secondary and minor secondary. The new policy and updated map were developed by County Attorney Stan Kimble and Assessor Jeremiah Higgins in cooperation with the road foremen for the county’s three Road & Bridge Districts. The board decided it needed to develop the county’s first Road Standards and Road Policy after a number of disputes arose between landowners in recent years. Some of these disputes were over unmaintained county roads that some landowners attempted to close them to public access in the belief that they had been abandoned while other landowners demanded those roads remain open. “If you want to have a road vacated, this new policy gives you a way to do it,” said Kimble, who presented and explained the new policy during Thursday’spublic hearing. The new policy defines a number of terms including “abandonment.” Under its definition, a county road that has not been built, improved or maintained is not considered abandoned. “The Board hereby declares that there shall be no abandonment of county roads by implication,” the policy states. That means a county road can only be abandoned after it has been officially vacated by the county officials. “It’s still a county road even if it’s not been maintained,” Kimble said. Questioned about this during the public hearing, Kimble said the county would be reluctant to vacate any roads because once they are officially abandoned they would be extremely difficult to reacquire if the need arose in the future. “The board would not like to condemn property to make roads,” he said. Unless a county road has been officially vacated, adjacent property owners have no right to block it by placing obstructions or locked gates across it, or moving fence posts onto it. This includes roads that have either not been built or maintained for several decades. The new policy also details other issues including the creation of new roads, access points to county roads, new county roads in relation to subdivision approvals, road agreements, county rights-of-way, and conflicts between surface and mineral estate owners. During the public hearing, questions were raised about public access to trails and tracks across private property including those along section lines. Kimble and the commissioners stressed the new policy covers only officially designated county roads. These private land issues may involve cases of trespassing or require resolution in civil court. At the close of last Thursday’s public hearing, a couple of landowners from the northeastern corner of Lincoln County said they had lived their entire lives in an area where a couple of designated county roads were marked on the updated county road map, but there was little or no evidence that a road had ever existed there. They were told that they had the right under the new policy to petition the commissioners to have those roads vacated.